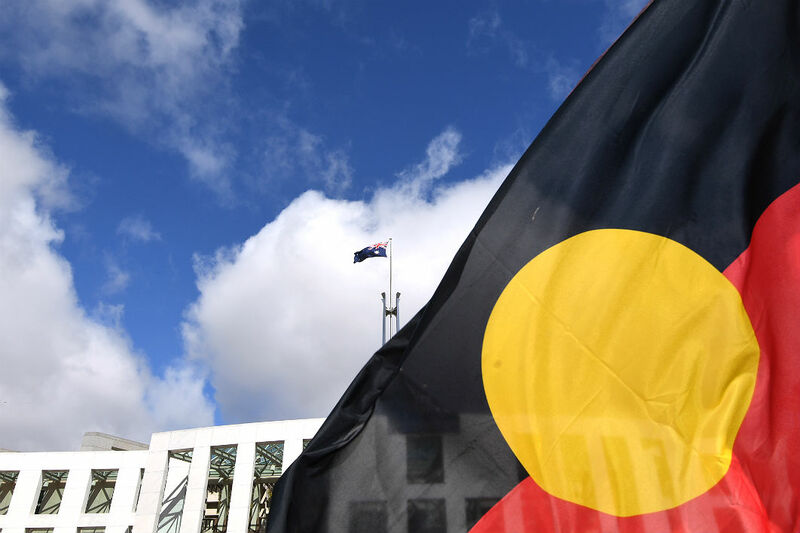 On Monday this week, without much fanfare, the joint parliamentary committee on the constitutional recognition of Aboriginal and Torres Strait Islander peoples released its first report. Although this is very much an interim report — it raises a great number of questions for further consultation — it reveals how much has changed since 2015, the last time a parliamentary committee considered this issue. It also shows a possible way through the impasse created by the government’s rejection of the main proposals from last year’s Uluru Statement from the Heart. The parliamentary committee acknowledges the Uluru Statement as a defining moment in the long journey towards meaningful constitutional recognition. Importantly, it stresses that Aboriginal and Torres Strait Islander people must continue not simply to be heard in the process but also to lead it. Established in March this year, the committee is co-chaired by two parliamentarians with very different backgrounds. Labor senator Patrick Dodson, a Yawaru man from Broome, has long been involved in promoting meaningful constitutional recognition, and was one of the first co-chairs of the Referendum Council. 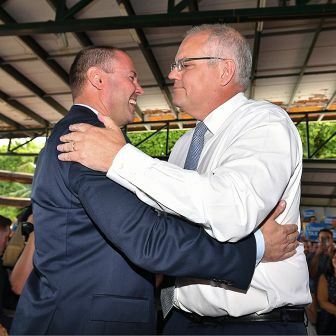 Liberal MP Julian Leeser, the member for Berowra, was an adviser to Philip Ruddock when he was attorney-general in the Howard government, and had earlier worked for Tony Abbott. Other members of the committee include two Aboriginal members, Linda Burney MP and senator Malarndirri McCarthy, along with senator Rachel Siewert, the Greens’ spokesperson on Aboriginal and Torres Strait Islander issues. In October last year, Malcolm Turnbull rejected the main proposal of the Uluru Statement and the Referendum Council. But when the current committee was established less than six months later, it was asked to consider, among other things, exactly that proposal. 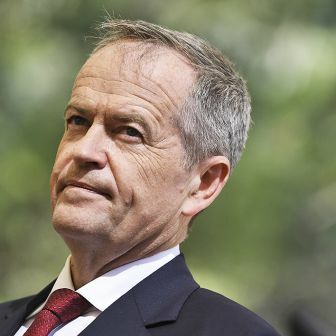 It has also been examining the reports of the 2015 parliamentary committee on constitutional recognition and the 2012 expert panel on the same topic, both of which differed significantly from the Uluru Statement and the Referendum Council’s final report. The recommendations of those two earlier reports centred on removing “race” from specific provisions of the Constitution (particularly section 25 and section 51(xxvi), the “races power”), as well as providing symbolic recognition of Aboriginal and Torres Strait Islander peoples as the First Peoples of Australia, and entrenching constitutional protection against racially discriminatory laws. The Uluru Statement and the Referendum Council, by contrast, called for constitutional recognition to take the form of guaranteed political representation through a body known as the Voice to Parliament. The Uluru Statement also called for the creation of a Makarrata Commission to oversee a process of agreement-making and truth-telling. The committee faced the obvious problem that in October 2017 prime minister Malcolm Turnbull rejected the Uluru Statement’s key recommendation for a Voice to Parliament enshrined in the Constitution. It gets around this obstacle by interpreting the prime minister’s announcement narrowly: Turnbull rejected what he called a “national representative Indigenous assembly,” it says, and the rejection came at a time when the Voice was conceived of through the lens of a single national model. The Regional Dialogues and the submissions and evidence received by the committee reveal that this local authenticity has always underpinned the calls for a Voice to Parliament. Otherwise, the Voice would lack legitimacy and credibility within First Nations. This is not to deny the Voice’s strong national role, nor the fact that its primary purpose will be to advise the national parliament on legislative proposals affecting Aboriginal and Torres Strait Islander peoples. But it is grounded in the local aim of empowering First Nations and improving the daily lives of Aboriginal and Torres Strait Islander peoples. To achieve this, the parliamentary committee notes, the Voice will need to be underpinned by a strong local and regional structure. The committee’s report begins with three chapters carefully explaining the submissions, evidence and other material it gathered during its consultations on the Voice. It details the genesis of the Uluru Statement’s call for the Voice and explains how the proposal reflects the increasingly desperate need to provide Aboriginal and Torres Strait Islander peoples with greater political engagement and representation within a majoritarian system. Not only has representation been missing, but policy-makers have failed to benefit from local knowledge and understanding as a result of inadequate consultative processes. The failure of representation has created structural disempowerment; its persistence is undermining efforts to redress poor health, education and criminal justice experiences among Aboriginal and Torres Strait Islander peoples. This trend is evident in Canada, South Africa, Finland and Germany, and the committee also points to local examples. These include regional bodies such as the Murdi Paaki Regional Assembly in western New South Wales, the Torres Strait Regional Authority and the ACT Aboriginal and Torres Strait Islander Elected Body, an now abolished national bodies such as the National Aboriginal Consultative Committee (1972–77), the National Aboriginal Conference (1977–85) and the Aboriginal and Torres Strait Islander Commission (1990–2005). The committee also acknowledges the continuity of the Uluru Statement with earlier advocacy of recognition for Aboriginal and Torres Strait Islander peoples through the mechanisms of political representation and treaty-making. 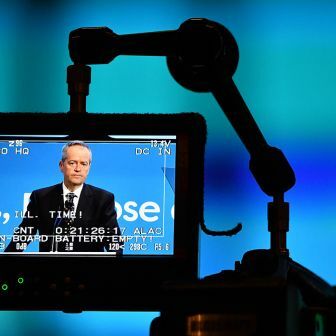 It recognises that while the Uluru Statement shifted the debate from the reforms advocated in the 2012 and 2015 reports, it is consistent with longstanding calls for self-determination. Should the Voice be pursued through constitutional reform or the simpler and faster mechanism of legislation? The committee claims that it has not yet perceived a consensus on this pivotal reform question in the submissions and consultation process; rather, it has received varied evidence about the benefits and challenges of the two approaches. Some groups supported a middle route involving two steps: legislative change first, laying the foundations for future constitutional enshrinement. But others argued that tentative experimentation is unnecessary — that there are plenty of precedents for representative bodies that can be drawn on in designing the Voice. Indeed, chapter four of the report sets out an impressively vast array of representative bodies that have come and gone on the Australian legal and political landscape. Another point of challenge was that the two-step process might result in a loss of momentum towards constitutional change. So far, the committee has not reached a final view on this point. Rather, it raises a series of questions about whether the Voice should be established in the Constitution, and if so, when constitutional entrenchment should proceed and what aspects of the Voice should be entrenched. Should Aboriginal and Torres Strait Islander peoples be consulted about the design of the Voice before or after constitutional entrenchment? Both options have merit, according to the report, but each has its challenges. The danger of the “first amend the Constitution” option — as it was referred to by David Jackson QC — is that people would not know exactly what they were voting for; its advantage is that it could bring constitutional change more quickly and build momentum to carry through the detailed work. The “work out the detail first” option might unduly delay reform, and could also run aground on small details of the design. A compromise option was developed (in slightly different forms) by a number of constitutional experts. It would involve introducing the Voice as a constitutional reform first and releasing its core details during the referendum campaign, with its full detail to be worked out through a wider and deeper process of consultation afterwards. What might the Voice look like? In the report’s third chapter, the committee repeatedly affirms that the Voice, and particularly its representative characteristics, should be designed and led by Aboriginal and Torres Strait Islander peoples themselves. The committee sees its role in this process as further refining the design questions so as to provide a substantive basis for this further work. The committee poses a number of questions about this further consultation, including when and how it should be conducted, who would oversee it, how proposals for the Voice should be formulated for consultation, and how consensus of Aboriginal and Torres Strait Islander peoples should be ascertained. Much of the committee’s report is taken up with exploring the design questions that must be answered in these consultations. They are many, and complex, and can broadly be categorised into two types. The first group of questions concerns structure and membership. How will the members of the Voice be chosen by Aboriginal and Torres Strait Islander communities, for example, and how will its authenticity, credibility and legitimacy be ensured within these communities? Must this be through elections? Should certain levels of gender, youth and elder representation be guaranteed? How will the local nature of the body transform into a Voice at the national level? What is the relationship between the Voice and existing community organisations, particularly existing representative bodies, and other Indigenous organisations working in areas of health, housing and education? The second group of questions concerns the functions and operation of the Voice. Its primary function is generally accepted to be providing advice to federal parliament on laws that affect Aboriginal and Torres Strait Islander peoples. The scope of this function is also subject to many design questions. Beyond this role, the committee asks whether the Voice will have a role in delivering services and funding in communities. Should it have an auditing or oversight role? Should it be able to initiate inquiries itself? 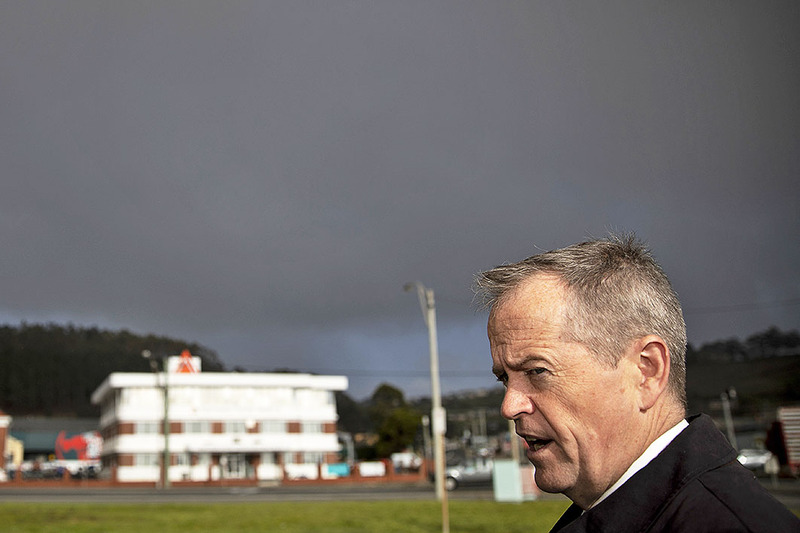 Will it also have a role in relation to state, territory and local government policy and legislation? What is the relationship between local and regional levels and the national level? Finally, the committee considered the Uluru Statement’s call for a Makarrata Commission to oversee a process of agreement-making and truth-telling. What became clear from the submissions to the committee was that, as Megan Davis observed recently in the Monthly, the process of treaty-making is complicated. Davis reflects on the complex reality in many Aboriginal and Torres Strait Islander communities, where often First Nations suffer major power imbalances caused by past government policies, and have very little political leverage. Davis also dispels many myths about treaties as a panacea: “Treaty is not an end, it is the beginning of the state acknowledging our grievances. Other jurisdictions in the world show us that post–treaty-making can be messy and legalistic.” She warns that much could be lost in a rushed process. The committee’s report reveals that treaty-making and truth-telling remain firmly on the reform agenda. But it concludes, appropriately and soberingly, that much thinking still needs to be done about how each of these proposals might be pursued. It points out that stakeholders have different understandings of “agreement-making,” “Makarrata” and “truth-telling,” and hold disparate views about how these forms of recognition can be achieved. No agreement was evident, for instance, about whether agreement-making should first be pursued at a state and regional level — as is currently occurring in a number of states, with Victoria the most progressed in this respect — or whether it should be commenced at a national level first. Similar disagreements arose in relation to the best way to pursue a truth-telling process, and whether it should be a centralised, state-sanctioned truth-telling commission or a locally led process. 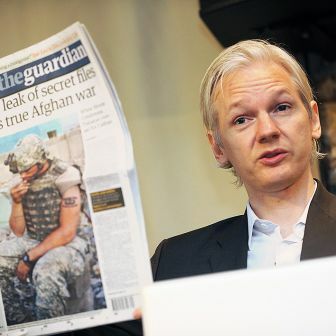 The report also noted that the proposed relationship between agreement making and truth-telling remained unclear. After more than a year’s wait, the committee’s report represents a mature and respectful response to the Uluru Statement. Its members have clearly reflected on the significance of the consensus that lies behind the Uluru Statement. The many questions posed in the report demonstrate a rigorous and deep engagement with the issues raised by the proposals. The deadline for further submissions to the committee is 17 September 2018. Gabrielle Appleby is an Associate Professor at the Law Faculty at UNSW Sydney. She worked pro bono as a technical adviser at the Regional Dialogues and First Nations National Constitutional Convention at Uluru throughout 2016–17.